No matter how busy life gets, it's essential to make time for self care, and supporting our nervous systems is particularly important. 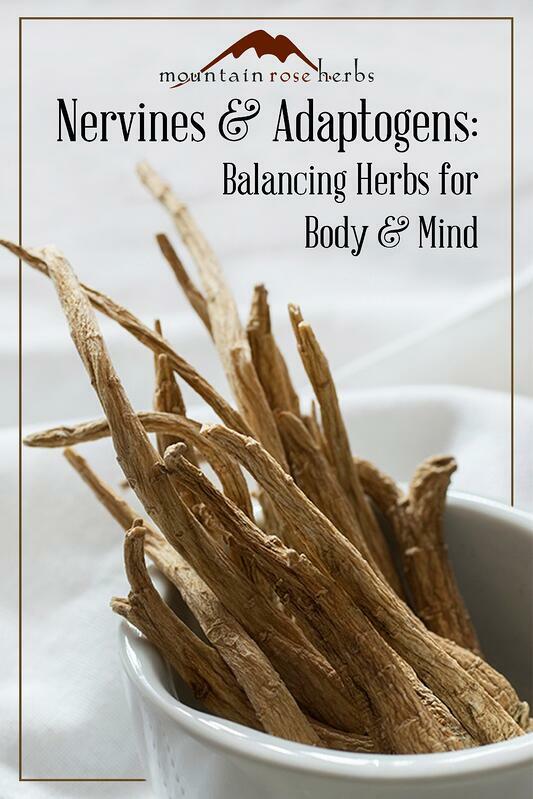 Herbal nervines and adaptogens can be invaluable allies for coping with the normal day-to-day aggravations of life: work pressures, family responsibilities, financial worries, seasonal mood slumps, over-reliance on caffeine, and so on. Whether your nervous tension results in intermittent minor aches, occasional melancholy, or the odd sleepless night, herbs that can help us find relaxation and calm to enjoy normal and healthful cycles of activity and rest. Stress is the body’s heightened physiological response to stimuli, both good and bad. The adrenal glands secrete stress hormones like cortisol and adrenaline that are associated with a range of effects on our minds and bodies, including a rapid rise in alertness, heart rate, and/or blood pressure. These hormones act together as a normal emergency response mechanism in response to a temporary stressful situation. However, frequent and sustained release of these hormones can result in a weakened immune response, an over-active and worried mind, and damage to our bodies' tissues and systems. Nervines are herbs that specifically help support the nervous system. 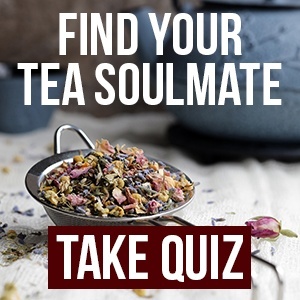 Their varieties include tonics like organic skullcap and organic oat tops, mildly calming herbs like organic catnip and organic chamomile, and stronger relaxants like organic valerian root and organic hops. They are used to help relieve normal muscle tension, circular thoughts, wakeful nights, and the occasional worry we all experience from time to time. Some of these herbs provide multiple nervine actions. 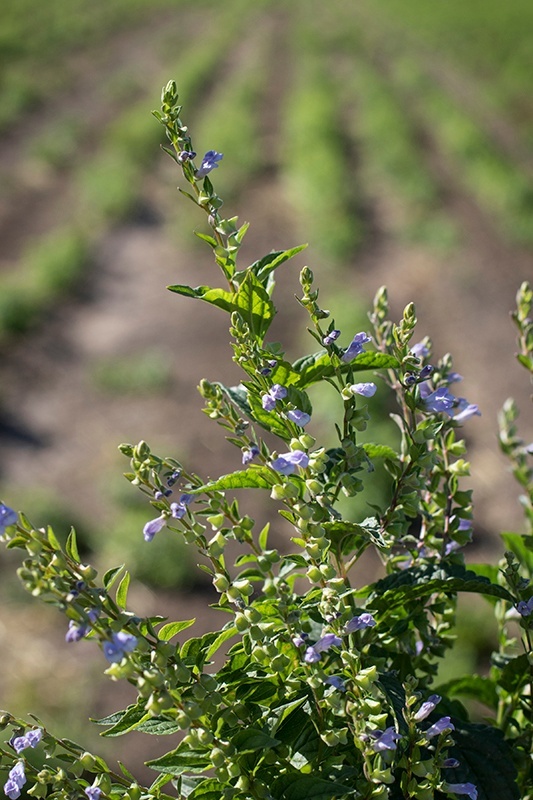 Skullcap is one such herb: it helps reduce muscle tension, calm worried thoughts, and also nourishes the nervous system. Others, such as oat tops, are not necessarily noticeably relaxing to the physical body, but help support healthy nerve function with regular use. Adaptogens make up another group of herbs that helps us manage stress as we encounter it. Although this classification is often complicated with difficult-to-define boundaries, there are a few generally recognized qualities that characterize the category. Adaptogenic herbs help restore overall balance and strengthen the functioning of the body as a whole without impacting the balance of any individual organ or bodily system. Adaptogens facilitate these changes through a wide range of actions and plant energetics, rather than through one specific action. Adaptogens may help improve focus, support normal immune system functioning, or exercise some other broad-spectrum normalizing influence on unbalanced physiological processes. By definition, the active properties of an adaptogenic herb must be safe, non-toxic, and non-habit-forming, even when taken over a long period of time. When taken daily as a tea or extract, these herbs can help improve your mental functioning and allow your body to adapt more easily to stressful situations by curtailing an overactive adrenal response. However, herbs should not be used to push us beyond our limits and cannot replace the benefits of good, restful sleep. 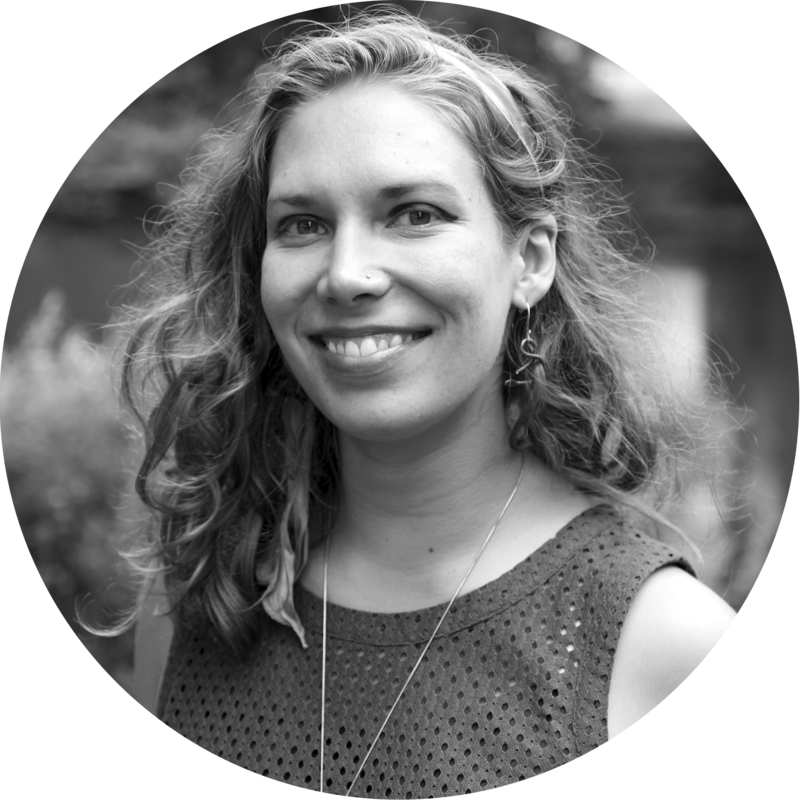 These plant allies better support our wellness when taken to address a specific need or when used as gentle long-term tonics. Oat tops - Very gentle tonic herb that helps support the nervous system without a perceptibly calming action. Can help reduce fatigue and support nerve functioning over time. Great for anyone who is overworked or relies on caffeine to get through the day. Skullcap - Wonderfully gentle and nourishing to the nervous system. Helps relieve occasional tension and stress, circular thoughts, and nervousness. Can be used throughout the day during stressful situations or at night before bed to calm worried thoughts. Chamomile - A classic, relaxing nighttime tea, this nervine herb is also helpful for relieving mild daily mental stress. Lavender - Calming herb that is often used in aromatherapy applications for its mild calming action. Lovely when used in the bath, massage oils, pillows, room sprays, or body fragrance to uplift the spirit. Lemon balm - Sunshine in plant form, this herb helps with nervous exhaustion, gloom, and restlessness while also providing pure aromatic pleasure. Simply rubbing a leaf between your fingers and smelling its citrusy oils can elevate the mood. Catnip - Gentle, calming herb for sleeplessness in children and the elderly. California poppy - Used for its calming properties, this plant helps promote relaxation in those seeking rest. 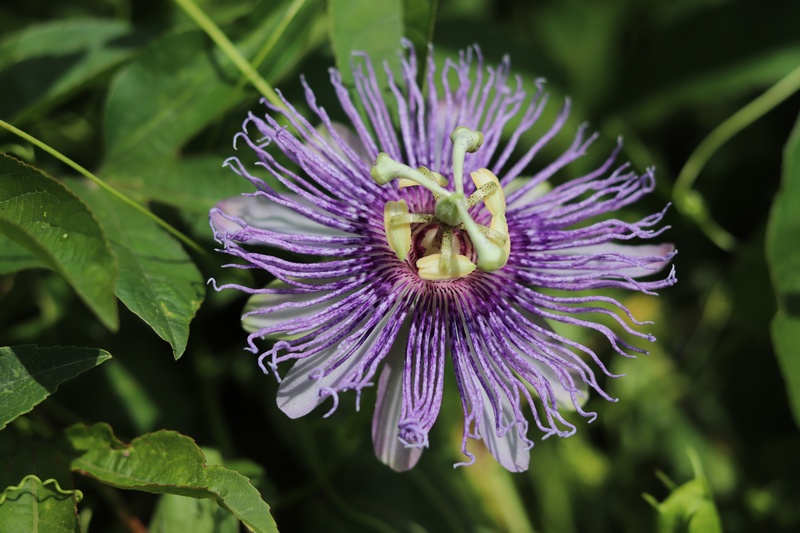 Passionflower - This stunning plant is helpful for relieving general tension, occasional nervous restlessness, and supporting restful sleep. Hops - With a distinctive flavor and action known well by beer drinkers everywhere, this plant supports relaxation (although the effect can be considered hypnotic) and helps calm a nervous stomach. Valerian - When sleep seems impossible thanks to nervous energy at night, this potent herb can support relaxation for many busy-brained folks. For some people, however, valerian can have the opposite effect of relaxation, causing more anxiety and stimulation, so if this happens to you, we recommend seeking another herbal ally. Schisandra berries - Support normal concentration, coordination, and endurance. Chinese folklore says that schisandra calms the heart and quiets the spirit. These berries support normal central nervous system functioning without excitation. Holy basil (or tulsi) - An important adaptogenic herb in India that helps restore vitality and promote overall health, softening our reaction to stress. 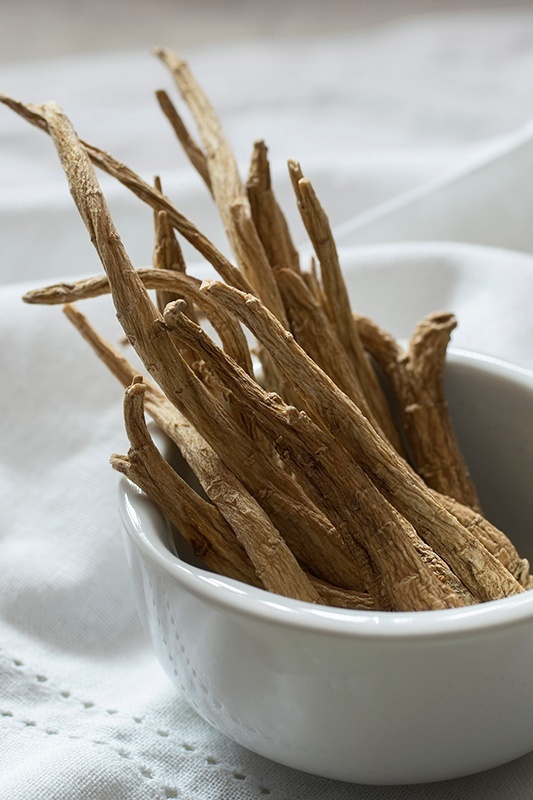 Eleuthero root - Improves normal mental clarity and emotional stamina during stressful situations, boosts physical endurance, helps with sleeplessness, and (according to Ayurvedic medicine) supports healthy immune system functioning. American ginseng - (Panax quinquefolius) Boosts physical strength and stamina. Supports mental alertness and memory. Good for exhaustion and vitality. Asian ginseng (Panax ginseng) is thought to be better suited for people older than 30 or the very weak. Used as a tonic. Rhodiola - Supports healthy immune system functioning. Cordyceps- This immune system supportive mushroom has long been used in Traditional Chinese Medicine. As always, it's important remember that your individual experience of a given plant may differ from the common ones listed above, so it's a good idea to introduce yourself to new herbs in small doses until you know how they may affect your unique body and mind. When used appropriately, these plant friends can greatly enrich your quality of life, so start exploring! Need help Fitting more herbs into your daily routine? Learn to Make Your Own Herbal Capsules!